I haven’t always loved walking. As a child, I saw it as an unnecessary distraction from reading. It was only when I lived in central London and could walk everywhere that I started to enjoy it as a mode of transport. I walked back home from events in the evening, noticing the vivid flashes of history that are so obvious when London’s streets are empty. I walked to work, carrying a copy of Ted Hughes’s By Heart and learning enough poems that soon I didn’t need the book, I could walk for 40 minutes with non-stop riches on my tongue. But it still took a couple more years for me to love walking simply for pleasure. 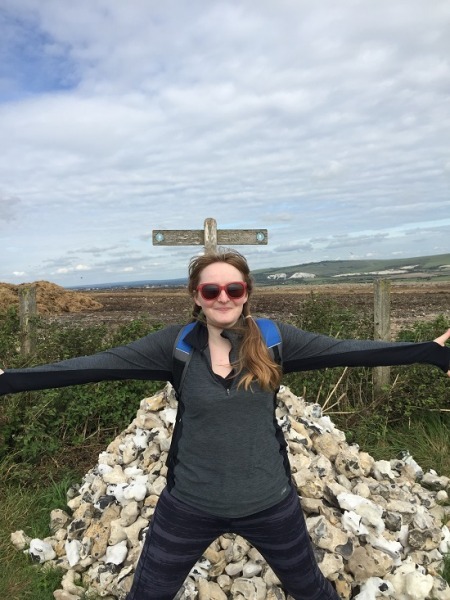 Keen to reconnect with the seasonal rhythms and the history of the land, a friend and I decided to walk the South Downs Way. We began in busy, charismatic Winchester (where we bought a taste of the sublime in barley sugar form) and only an hour later, we were deep in the balm and squidge of the countryside, where we didn’t see another soul for hours. We pitched up at the end of the day in a divine valley and ate ravenously by a roaring fire. We were hooked. From the start, my love of walking has been connected with my love of poetry. Weaving through Holborn muttering Hopkins and Keats under my breath or scrambling up Sussex hills learning Larkin’s ‘An Arundel Tomb’ with my friend, to recite at the tomb itself in Chichester Cathedral, the two activities have always enhanced each other. There’s an exquisite, hungry, almost-painful ecstasy in a beautiful scene which only a poem can articulate. There’s a quest in poems which the thump of boots on muddy grass underlines and emphasises. Poetry and walking both return me to my most thoughtful, sensing self. I am describing a Romantic kind of walking here, walking for leisure and pleasure, which is of course a privilege. And we will be a little Romantic on my upcoming course – after all, it was the Romantic poets who popularised walking in this country. But people also walk for protest, escape, survival; walking is both the simplest activity and the most political. We will explore all these different aspects of walking, as well as the concept of pilgrimage, and walking’s long association with despair, with haunting, with sexiness, with roving, with the free spirit and the flâneur. 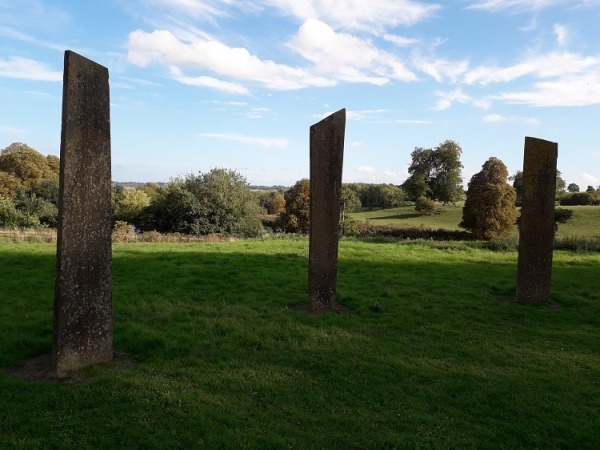 An unexpected encounter with Saint Augustine, Boethius, Shakespeare, Goethe, Eliot and others on the North Downs Way – ten beautiful standing stones to mark the millennium. I plan to set some practical activities – a sort of grown-up version of those children’s trails in heritage sites, which I always wish I could do myself – but there will always be philosophical alternatives for those who wish to adventure in their minds. We will take inspiration from poems about walking (I have recently added Juan Felipe Herrera, Gary Soto, Charlotte Smith and Alicia Ostriker to my list of companions in the course description, and the group will grow ever bigger), but also from all sorts of prose: diaries, accounts of famous and fictional walkers, walking guides, maps and instructions. Don your hiking boots and discover new poetry pathways on Rachel’s new online workshop, A Dweller on the Plains: The Poetry of Walking. Call 0207 582 1679 or book online.